Everyone knows the month of December is one of the busiest months of the year. Malls are packed, post offices have lines going out the door, and everyone is starting to celebrate Christmas and Hanukkah. 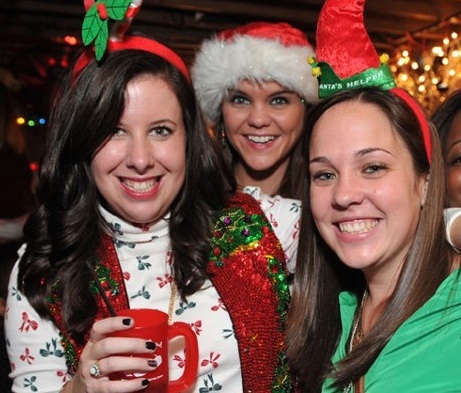 Our nation’s capital is no exception and is jam packed with Christmas pub crawls, DC Santa crawls, Snow Day celebrations, Santa Stumbles, Ugly Christmas sweater parties, corporate holiday buyouts, and the list goes on. Whether you were looking for something to do early in the month of December, or something to do while preparing to take your college finals, or simply looking for a way to release some steam after finishing off another crazy semester, DC had your back this month! There was a holiday event taking place at every corner, literally. But for the sake of this blog post, let’s talk about the major ones that took place this month. The month started off with the Christmas Crawl. To be honest, we didn’t know much about this event, aside from the fact that it was in Dupont Circle. It wasn’t until the days leading up to the event that people really started to talk about it and how big it could become. Participants wore their ugly Christmas sweaters in pride as they visited participating establishments in the Dupont Circle area. One of the more anticipated holiday events, brought to you by your own Project DC Events, occurred the following Saturday, December 8th. DC Santa Crawl 2012 gathered close to 3,000 participants in Dupont Circle. Participants showcased their holiday spirit by dressing up as Santa, elves, reindeers and even Christmas trees! Participants registered at Irish Whiskey and BlackFinn and visited a total of 8 watering holes while taking advantage of amazing drink specials and food truck deals, as well as raffle prizes. 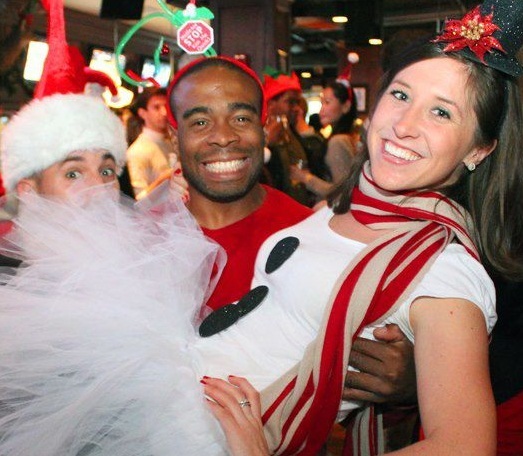 So let’s close with this, whether you attended one, all, or none of these DC bar crawls this holiday season, we can guarantee you one thing, these events will be back next year. Come December 2013, if you want to participate in the DC Santa Crawl, wear an ugly Christmas sweater, or simply dress up as Santa and paint the town with hundreds of other Santas, don’t forget, our nation’s capital has you covered!